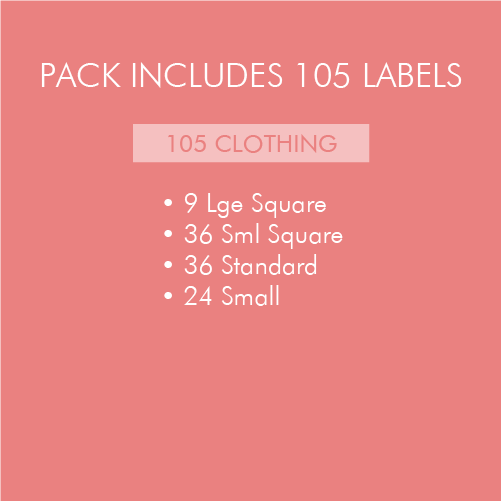 Fight lost property in style with Tinyme clothing labels. 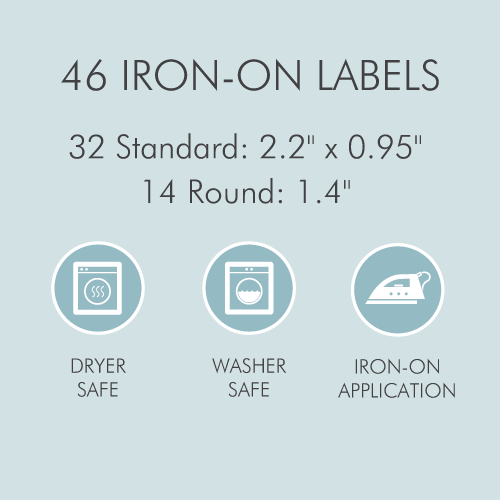 Our iron on clothing labels are washer and dryer safe and come in 100's of design and color options. 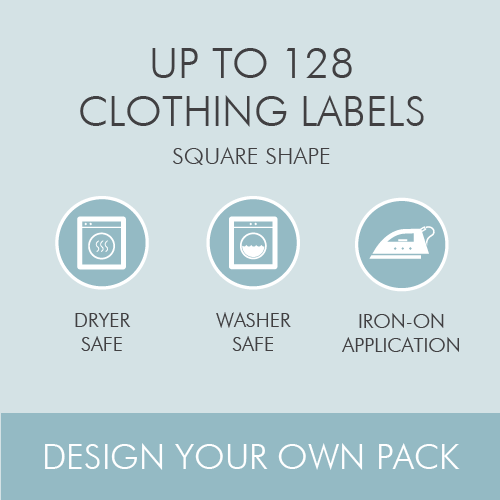 Discover the world's cutest and bestest iron on labels - SHOP NOW! 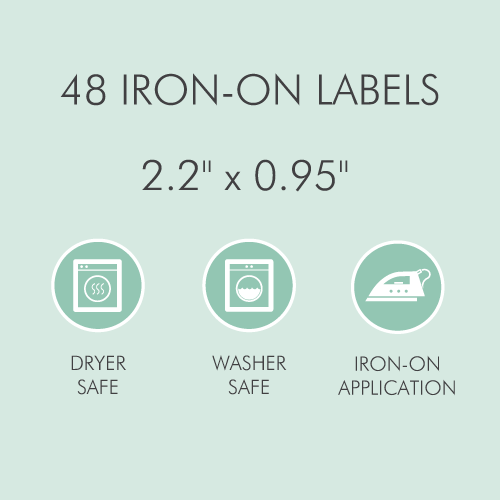 If ever there's a time to strike when the iron's hot, it's when iron-on labels are involved. We all have memories of those faded, peeling labels from childhood, or those badly stitched name tags that never stayed put. 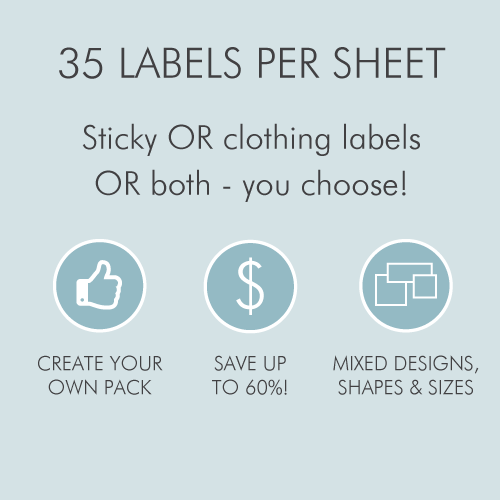 With their cheery designs and personalized text, Tinyme's range of oh-so-cute iron-on clothing labels makes those sew-on labels look sew last season. There's no need to rule over 'em with an iron fist, either. 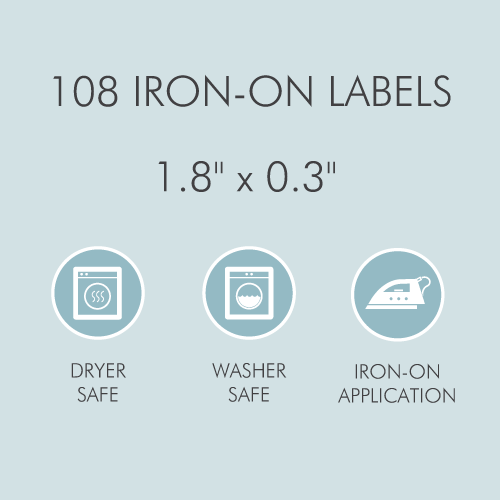 Once they're on, they're on: peeling holds no appeal for our iron-on name labels. 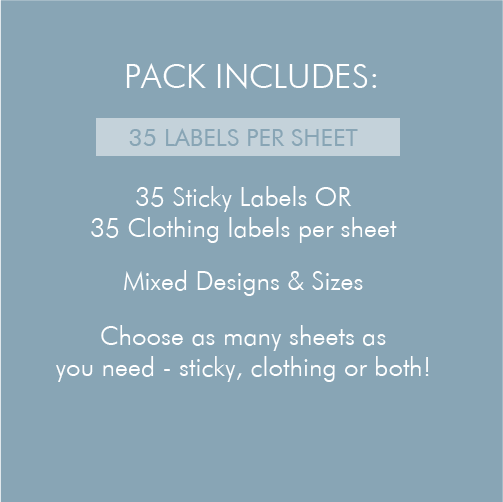 Whether it's a school hat, school bag, a sweater, or even a pair of socks, these name tags will have your label needs ironed out. 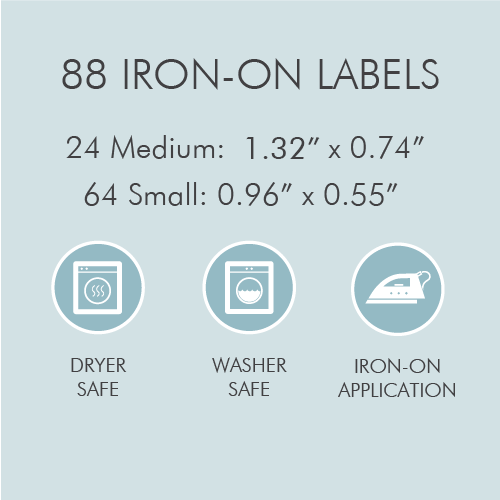 Alanis Morrissette might call it iron-on-ic, but we know better: our iron-on clothing labels are the result of super-cute design aligning with awesome manufacturing. The result? 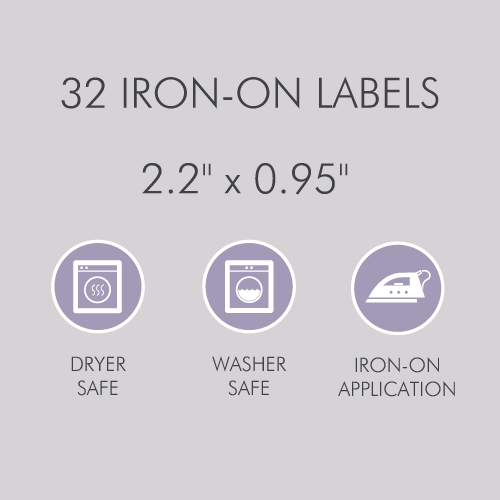 Labels that hold so fast that Iron Man himself couldn't pull them off. • Safe to use in washing machines and tumble dryers.